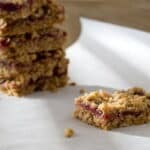 Cranberry Oatmeal Bars Recipe- made with cranberry sauce! This dessert recipe is for Cranberry Oatmeal Bars and it’s perfect for after Thanksgiving because it uses leftover cranberry sauce. I partnered with The New York Apple Growers to bring you this post. My mom is one of the most innovative cooks I know. It’s from her that I learned to trust my instincts to jump in and try new things in the kitchen. Not that my instincts (or probably hers) are always right. But the fun of cooking is when you try something different and it works. I had that kind of perfect kitchen experience last week when working on some recipes for the New York Apple Growers’ RubyFrost apple (which you’ll be seeing in stores everywhere next fall!). I mixed together rosemary, pine nuts, butter and sea salt and spread it on a slice of the tart crisp apple. Let’s just say I swooned. But more than that, I felt really proud for having come up with such a perfect flavor combination. Nutty, salty, sweet and sour with a crunch and a creamy softness all in one bite. 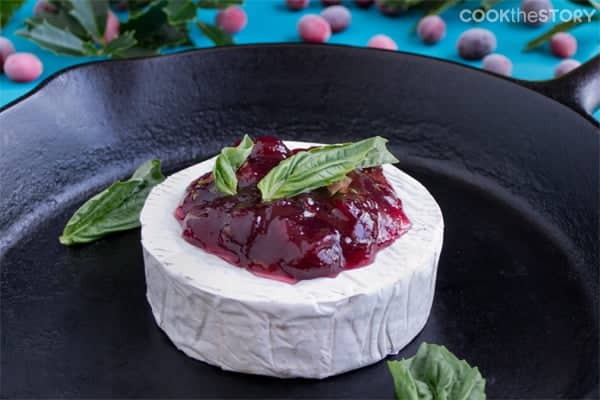 I bet that’s how my mom felt when she came up with this idea to use cranberry sauce in place of the date puree in Matrimonial Squares (a.k.a. Date Squares). This easy dessert recipe hits so many of those flavor and texture components, sweet, tart, rich, crunchy, soft and chewy. It’s got it all. I wonder if she swooned when she first made it. The best thing about these cranberry oatmeal bars, besides their taste and ease, is that they’re a great use for leftover cranberry sauce. So once Thanksgiving rolls past and you find yourself with leftover cranberry sauce don’t fret and wonder what to do with it. Make these oatmeal bars. You’ll love them. So much so that at future Thanksgiving dinners I bet you’ll hide the cranberry sauce at dinner just so you’ll have enough left to make these bars. But really, no need to hide the sauce from your guests. 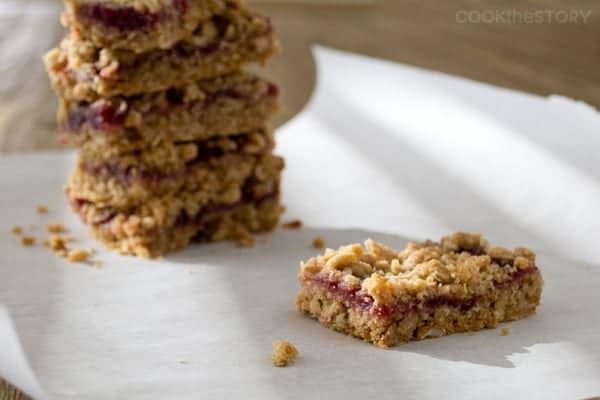 If you don’t have the amount of cranberry sauce called for in the oatmeal bars recipe below, you can absolutely supplement with jam of any kind. Or open another can of cranberry sauce and combine it with your leftovers since these bars can happily accommodates more filling. Or check out my list of ideas for what to do with leftover cranberry sauce . There are tips, ideas and recipes too. And I’d love to hear your ideas about ways to use up leftover cranberry sauce. It really is such a wonderful ingredient and it’s a shame to waste it if it doesn’t get eaten at Thanksgiving. And now for the Cranberry Oatmeal Bars recipe. This twist on the classic Matrimonial Squares (also called Date Squares) uses cranberry sauce as a filling instead of a date purée. They're super easy to make and are a fabulous use for leftover cranberry sauce. In a large bowl mix together the oats, flour, brown sugar, baking powder, baking soda and salt. Use your fingers to rub in the butter until everything is moistened and no pieces are bigger than the oats. Spoon three-quarters of the oat mixture into a 13"x 9" cake pan. Press down on it firmly to form a firm layer that evenly covers the bottom of the pan. Add the cranberry sauce in dollops and spread it in a thin layer over the oat layer. Sprinkle with the remaining oat mixture. Allow to cool in the pan on a wire rack. Cut into 8 strips along the length of the pan and 3 strips along the width yielding 24 bars. Disclosure: The New York Apple Growers mentioned above have hired me to develop recipes and photograph them as well as to help promote their new apple varieties. All opinions are my own. Great recipe to use up the leftover cranberry sauce! Delicious!!! Followed the recipe for the cranberry oatmeal bars and they turned out delicious. I left it in electric oven for 30 minutes at 350. Thanks for letting us know, David. Glad you liked them! Jefe, I’m delighted that you liked them. Thanks for letting me know! Mary, Yessss! I love the pecan idea and the other pie fillings. Pumpkin with pumpkin pie spice would also work, I bet. And probably any kind of jam that you have going uneaten on the door of your fridge. Maybe melt it a bit in the microwave first to make it more spreadable. So happy you liked the recipe! These came out great! I didn’t let them set/cool because they smelled so too and I lack self control. I’m sure they would have held form better if I had let them set, however they were like a warm cobbler. Absolutely delicious! I’m saving some for my family so they will get to eat ones that have set. But really even straight from the oven they were wonderful and didn’t really have any issues other than they weren’t has firm as they would be if I had let them set. Ellen, So glad you liked them. They’re a true favorite around here! The first time I made these, I didn’t have enough cran sauce, so I substituted the last 1/4 C of filling with Three Fruit Marmalade. Everyone loves them, so I’m sticking with this version! Jim, That sounds fantastic. I bet the tang and extra stickiness of the marmalade was really amazing. I’m going to try it too! 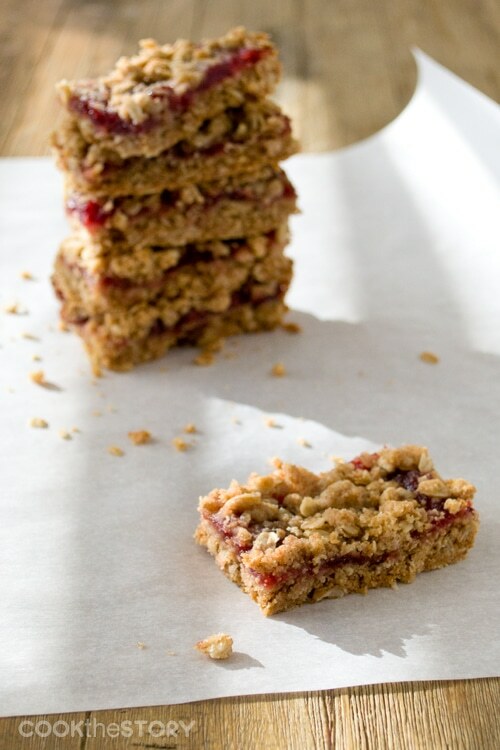 Christine… I just made these cranberry oatmeal bars this morning and they are DELICIOUS! I did add an additional 1/4 cup of butter; but it’s very moist and an awesome use of leftover cranberry sauce! I used my own home made cranberry sauce. I did bake it for an additional 10 minutes on the bottom rack and then moved it to the top rack for approximately 6-8 minutes and the top was lightly browned! Thank you very much for sharing this!! I look forward to seeing more of your recipes~! happy new year and happy baking! Pauline, I’m delighted that you liked it. It’s a favorite recipe around here as well. Happy New Year! These were perfect! So easy, too. I made great cranberry sauce for Thanksgiving, and I was feeling bad about wasting it. This used up my leftover cranberry sauce, just the right amount. I have some more jams in the fridge than I can ever use on toast or sandwiches, so I’ll try those next. Thanks! You’re welcome! And thanks for letting me know. So happy you liked it! Made these today with my leftover homemade cran sauce that had oranges in it, so doubley yummy for this recipe. Topping came out crumblier than I expected but still good. I ended up lining the pan with parchment so I could get them out of the pan easier for cutting. Definitely a keeper. Kim, love the oranges idea! I made these last night, and they turned out awesome. I used homemade cranberry sauce, just simple with sugar, water, and fresh cranberries. Then I followed this recipe to the exact measurement and instruction, and they turned out so well! They taste delicious. But I think next time I will use a bit more cranberry, and/or make some kind of frosting or glaze to gloss over the top. Just something to bring up the moisture of the dessert. Will quick oats affect how the butter melts? Ed, I don’t think I understand your question. I made these with about roughly 1/4 cup extra butter and they turned out amazing! Served them at work and everyone loved them. 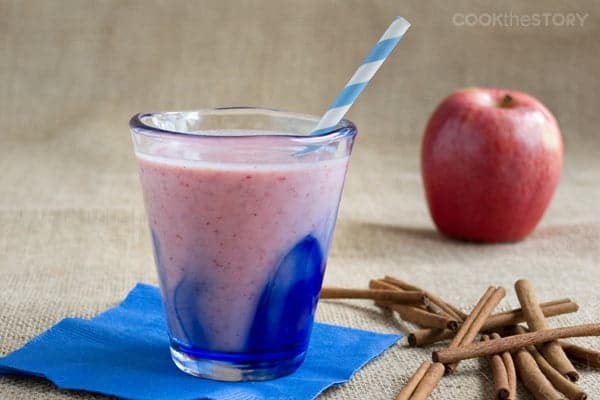 Such a simple and yummy recipe. Kayla, That’s good to know. Next time I try them I’ll try with more butter. Thank you! Thanks for the tips! I’ll try it again. I may have goofed up a measurement somewhere! These bars just look so good, I hope I can get them right next time. This recipe didn’t work out for me. Despite my best efforts to “moisten” the oat mixture with butter, it was too dry so I ended up with a powdery, raw flour topping. I read over the instructions many times and did everything right but was still left with less than desirable bars that look very different from the photo. Maybe melted butter would have pulled the topping together? Rachel, I’m not sure what went wrong. The idea is that your rub the butter and oats between your finger. It’s called “to crumb”. Here’s a video on youtube showing how to do it https://www.youtube.com/watch?v=e_Yxd_sMYdo Except that one just has flour, no oats. You’re essentially coating all of the dry ingredients in a bit of butter. It will look dry but everything is slightly coated. When the bars cook, the butter melts evenly over everything so that it evenly cooks the topping. Love them. The sweet but tart flavour of the cranberry sauce was delicious. I found the oat mixture a bit dry. I wonder if decreasing the flour would help? Will definitely make again with leftover cranberry sauce! Thanks Mary! So glad you liked them! 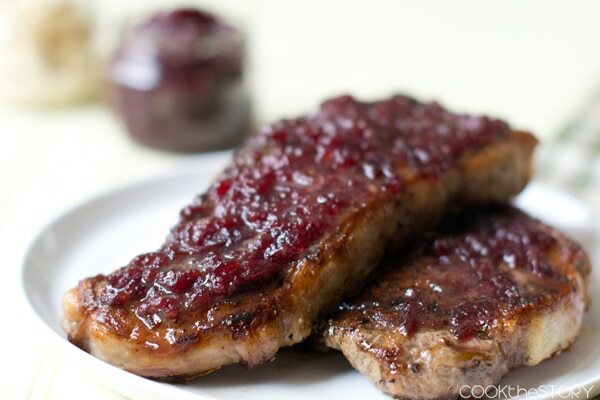 When I made this recipe, I did 2 cranberry sauces!! Zoe, You mean two cans? How did it turn out? Am looking for a recipe for date nut bars. They were cut into bars and rolled in powered sugar. My mother made them but I lost all my recipes. Paula, This cranberry recipe is actually based on a date bar recipe that my mom makes. Mom mom always called it Matrimonial Slice. It’s basically the same as the cranberry recipe except you simmer dates with sugar and water until soft and then puree them. Then you use that instead of the cranberry sauce. There’s a recipe here http://www.notquitenigella.com/2013/09/19/matrimonial-slice-aka-date-squares/ but I have never tried it so I don’t know how it is. Lauren, I understand. Yes, they definitely need to cool. I should perhaps state that more forcefully in the recipe. Thanks for your feedback. This was solid! Definitely needed to set up overnight, but it was tasty in my lunch box today. Would love to see flour and sugar measured by weight. (Yeah, there are conversion tables, but I don’t know if they’re true to the amounts used to develop the recipe.) Thanks for this recipe that finally used up the last of my Thanksgiving cranberry sauce! Glad you liked them. I’m concerned about their need to set up overnight. I’ve never encountered this. Can you explain more? Barbara, I don’t since the butter in the crust seems to stop it from sticking. But there would be no harm in greasing it. Just made them (look delicious), but would like to keep them for Christmas. Can you freeze them for a week or 2? Jerri, I’ve actually never tried but I think they’ll be fine. All of the ingredients hold up well to freezing. My only concern is that they could get mushy. If they do, I wonder if a bit of time back in the oven would help. I made these as gifts for the holidays and it is a very good recipe! I had leftover fresh cranberry sauce from Thanksgiving but it was just shy of the 1-1/2 cups needed so I added a pint jar of sour cherry jam I canned over the summer. The combination of the two flavors was wonderful! Thank you for the recipe. I also had the problem with the top browning. I baked for 35 minutes and it still didn’t brown. I followed the recipe and I know how to use my oven. Annie, They don’t actually have to brown to be done. I’ve discovered that different brands of oats brown at different rates. If you bake them for 28 minutes, they’ll be done even if not browned. I just edited the recipe to remove the bit about them browning so that others don’t have this problem. Just made the recipe with some canned cranberry sauce that my mother of law gave me. She did’t know what to do with them, neither I at first. I’m glad that i find your recipe. Is great, yummy. My husband love it too. Maybe I’ll start to store cans of cranberry sauce this year. Angelica, This is one of my favorite recipes for sure. So happy you liked it! Great little recipe and so easy to make! I always make my own whole cranberry sauce spiced up a bit with cinnamon — don’t know why anyone would ever eat the canned stuff — but I often have a little bit leftover. This recipe was an ideal use for it. Ami, thanks so much for letting me know. This is my favorite use for leftover cranberry sauce too! Thanks for the great recipe! 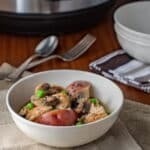 We used it on our Kids In The Kitchen series on YouTube and wanted to let you know that it was a great recipe that is also very kid friendly. Love the video! How fun. I’m delighted that you like the recipe too. (And always so nice to stumble on a fellow Canadian blogger). I love these!!!!! I’ve made them twice now and the first time had an oops but I must say, came out better than the second time which I followed the recipe. The first time, I only had 1 stick of unsalted butter, so I added a lactose free stick for the second half and they were so moist and amazing. This time I used 2 sticks of unsalted butter and they were not as moist. The top was very crumbly, but still very delicious! Michelle, Thanks for letting me know! How interesting that they were better with half lactose-free butter. I might have to try the recipe using all lactose-free to see what effect that has. Have a great day! These were a huge hit with the volunteers at my local food pantry. I made a pan of them for the distribution day prior to Thanksgiving. I’m not sure if you are aware but the recipe calls for brown sugar but never tells you when to add it. Wow! Just wasted money on these. Courtney, I am so so very sorry. It is added when you add the flour. I’ve edited the recipe to reflect this change. Made these today and they are awesome! I sprinkled 2 tablespoons of white sugar on top before I baked them to give them a shiny look so the kids would eat them. It worked! Renee, What a fantastic idea! I’m going to try that next time I make them. Delighted to find this recipe, the end produce seems right up my street.. But there is a flaw in the instructions. Sugar listed in the ingredients but no instruction as to when this should be added to the mixture. I added it after rubbing in. The mixture is in the oven cooking so not sure how they will turn out. Have rated the recipe based on a successful outcome. So sorry for missing the sugar in the instructions. It’s added when you add the flour. I’ve edited the recipe to reflect this. I hope they turned out good with adding the sugar when you did. I made these today and I think they taste wonderful! Mine never really “browned”. I cooked them on 325 because my oven cooks at a higher temperature and I left them in for probably 35 minutes, just watching them carefully. Great way to use left over cranberry sauce, which I always have after Thanksgiving and Christmas. Thank you for sharing!! I have made this recipe three times now and will not be making it again. It is impossible to get the top of the bars to brown. The last time I made it I baked it for 35 minutes and the top still didn’t brown. In desperation, I drizzled some melted butter over the top and place it under the broiler. Despite only being under the broiler for approximately 30 seconds, the top burned. In one last attempt to save the dish, I topped it with chopped nuts, but it still didn’t mask the burned taste. Oh, well, it’s only money, right? Money for the butter, sugar, flour, cranberry sauce, etc. etc. etc. 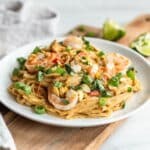 I am a gourmet cook and rarely come across a recipe that I can’t make work, but this is one of them. I would have given it one star, but am giving it two because of the creativity of using cranberry sauce. I can’t say I blame anyone but you for burning the bars. 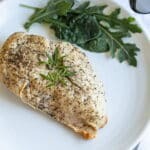 This is a pretty simple and straight forward recipe; maybe you should consider learning how to use your oven properly. Christine: These bars look amazing! I have always bought the raspberry oatmeal bars from Whole Food Market, but I’ll try to make my own using your recipe… Thanks a lot! Thanks for the kind words, but you are my inspiration. These cranberry bars are truly delicious.